I’m not going to lie, I’m kind of a chicken when it comes to writing reviews for books I didn’t like. I usually avoid it just because I don’t want to hurt anyone’s feelings, but that’s not a good reason. Publisher’s expect honest reviews, and that’s what I’m here to do. I know that sounded like a negative intro, but keep in mind that I don’t hate this book, and I know someone out there is going to read and adore this book, it just wasn’t for me. It was very slow to start and I found myself wanting to skip forward to get to the “good” stuff, but it never got there. There was potential for this to be a good mystery, and there were some twists that got me, but the biggest problem for me was the stacked twists that were giving me whiplash. I’m not even kidding. There was hardly anytime to recover from a twist before another one was thrown into the mix. There were a lot of things I didn’t like about this book, but I want to end here on a high note. I mentioned it was slow to start, but once it got there it was fast-paced and had a lot of good action. Wylie and Jasper are doing everything they can to rescue their friend Cassie, and thei loyalty was impressive. 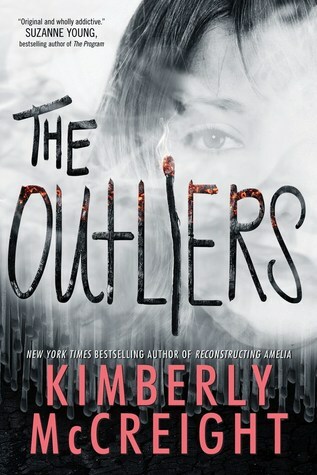 I believe there will be plenty of people who are into the fast-paced twist-after-twist narrative that The Outliers have to offer, but for myself it’s a 2 star read.